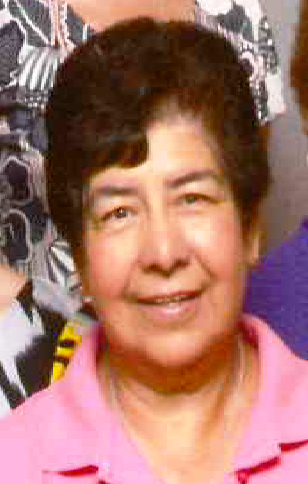 Maria Carmen Salas was called by Our Heavenly Father on Wednesday, December 5th, 2018. Carmen is preceded in death by Her Parents Lorenzo and Luz Salas, Brothers Guadalupe, Catarino, John and Hilario Salas, Sisters Frances Salas, Josie Salas and Sister-in-law Cipriana Salas. Serving as Pallbearers will be her Great-Nieces and Great-Nephews, Miguel Lorenzo Cobos Salas, James Cobos Salas, Gabriel Rufus Davila, Susan Rosita Salas, Olivia Luz Salas and John Isaiah Salas. Survived by Her Sister Teresa Salas-Wing, Sister-in-law Inez R. Salas and a host of Nieces and Nephews whom she loved dearly. Tia Carmen, a lifelong Daughter of Our Lady of Guadalupe Parish and neighborhood was a light and pillar of strength to all. She was unfailing in her devotion to Our Lord and Her Family and Friends. There was no one “outside” the Family to her, and all non-relatives considered Her a Sister. A Loving Caregiver to many for 60 years, Her gift to the Family was an example of selfless and humble service. Visitation Services will be held on Friday, December 7th, 2018 from 4:00pm to 9:00pm at All Faiths Funeral Chapel, 8507 N. IH-35, Austin Texas. Recitation of the Holy Rosary will be recited on Saturday December 8th, 2018 at 1:30pm with Mass of Christian Burial to follow at 2:30pm at Our Lady of Guadalupe Catholic Church. Interment to follow at Mt. Calvary Cemetery.